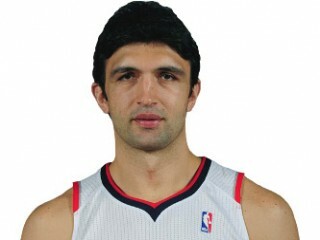 Zaza Pachulia, born Zaur Pachulia is a Georgian professional basketball player for the Atlanta Hawks of the NBA. • Originally selected in the second round (42nd overall) of the 2003 NBA Draft by the Orlando Magic. • His favorite TV shows are "Punk'd" and "Chappelle's Show"
• His favorite athlete is Michael Jordan.